Sohan Roy is a brilliant Naval Architect and the director of DAM999, the very first 3D international movie by a mariner which portrays a strong social message to the world. The movie is a tribute to the tragic 1975 Banqiao dam disaster. His umpteen award winning documentary 'Dams- The Lethal Water Bombs' was released as a curtain raiser to the same. The movie is distributed by Warner Bros. in India & is set to reach the world audience in November 2011. 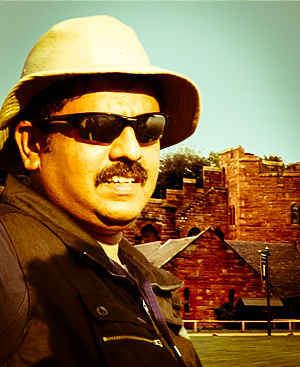 In his second International venture 'Saint Dracula 3D'; Sohan Roy has a dual role. He is the Executive Producer and the Project Designer of the movie. The 'Project Designer' concept will soon turn to be an unavoidable part of the Global Film Industry. The Project Designer selects the apt script for a production house along with identification of the right director needed for its theme. Besides, this key person is also responsible for structuring the entire budget for the production, branding, film festival promotions, marketing & worldwide distribution. Creative Director for over 100 globally telecasted programs. Creative Editor for 3 international publications 'Voyage', 'Waves' and 'Achiever's Chronicle'. Marine BizTV - World's first dedicated Global Maritime TV Channel. Navarasa - the fashion extravaganza. Maritime Film Festival 'Ocean Blue'.